I am considering placing a third brake light onto my C car. I have seen a few images online with regards to placement, above the rear window, on one or both rear deck grills. A number of years back a company called "the Lleryn" made these, a very nice product, however this gentleman has now passed away. Can anyone advise what they are using and where they got them, pictures installed would be helpful also. Hi Eric, The obvious reason you are thinking of this is to protect yourself from being rear-ended. 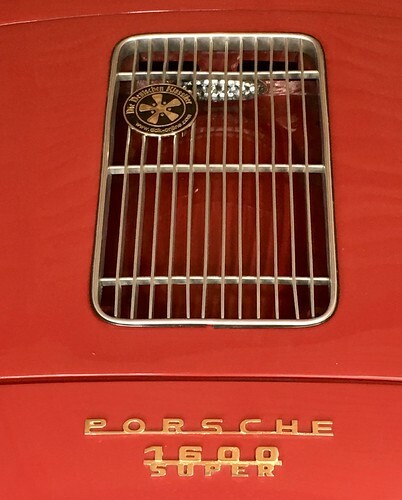 I have followed many 356's with the third brake light(s) buried under the engine grill(s) and while it is a clever solution it is not easily seen by following drivers. And having your engin grill area light up in red is not an intuitive signal to following drivers - as one once commented to me that he thought it was just to show off. If you are doing this for protection place whatever light you settle on at the top of your rear window, which is where the driving public expects to see a third brake light. I have a Lleryn and it works well especially since since it can be programmed to blink a number of times before going to solid red. I didn't know they are no longer available, so based on my good experience if you can only get a single action light chose one that continuously flashes for best viability to alert following drivers. 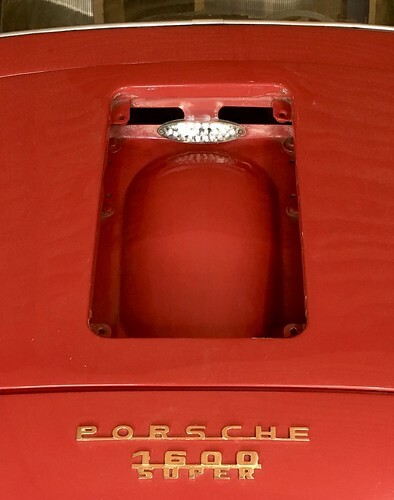 BTW, I now use a pair of 911 red rear fog lights mounted at the top of my Lietz luggage rack (rather than any of the above) as extra highly visible brake/signal lights. I think Dave has found an excellent option. I see a price of U.S. $60.00 plus shipping. There are options for the brackets as well. I may well get one of these to replace my present light. I considered the type of setup that Dave has, but since I use the luggage rack for road trips my suit case (when it stays with me and doesn't fall off) blocks lights that are attached to the rack, which is why my choice is something at the top of the rear window. I will add that I have sourced the signal for the high mounted light from the brake light switch at the master cylinder rather that from the car's brake light circuit. This gives me a redundancy for the brake lights. Yes, I am starting to think about the safety aspect with regards to fitting a third brake light. I am expecting drivers getting up close to see what type of car it is and missing the brake lights. Dave, i would probably fit it in the rear window myself, the car is a 12 volt, I just need to source someone selling a suitable looking light which could be mounted in this location. Lleryn produced a really nice one as you know with the full instructions on where to place the wiring. I just had a look at the website you supplied, this could definitely be the one. They appear to flash also when indicating, a nice touch. The supply brackets also for slanted rear windscreens. I like the idea of that also possibly combined with the higher light, did he change the colour of the glass on the light. The glass remained clear. I think he had a red LED. I was surprised at how well that showed. I ran the lead forward to the brake cylinder and it works well. I have been considering one of these. Nice find Tom. Defiantly putting a split dual 3rd brake light blinker combo in my car up high in the back window. I have had 3 cars totaled from being rear ended and all 3 were while sitting at a red light. That is the same company that Dave has highlighted. They are a nice looking set up. I have ordered one with the bracket for use in the rear window.